An Intervention Application has been filed before the Supreme Court drawing its attention to the proposed deportation of seven Rohingya men to Myanmar and urging the court to intervene in the matter. 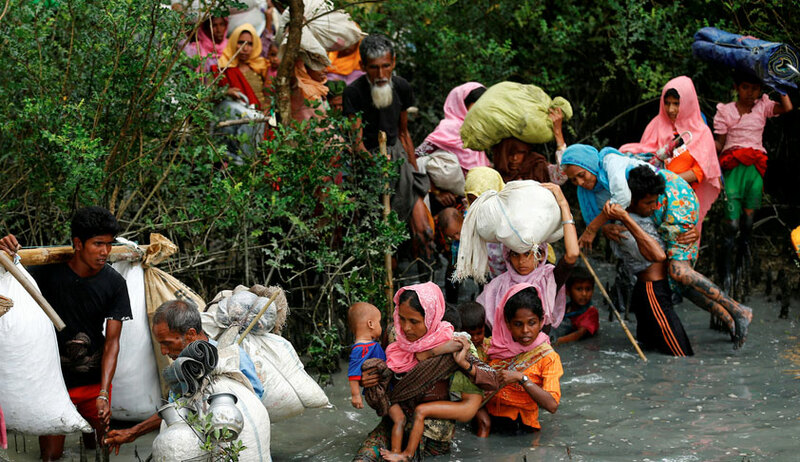 The application, filed by Mohammad Salimullah who is one of the petitioners in the ongoing case before the Apex Court againstthe deportation of Rohingyas, contends that imminent refoulement of the men is in grave violation of India’s international obligation to respect customary international law principle of non-refoulement. “It is submitted that conditions in Myanmar are not conducive for safe repatriation and therefore, the government’s proposed decision to return the aforementioned men would amount to serious violation of human rights,” it further asserts. It contends that the deportation proposed by this letter is contrary to Articles 14, 21 and 51(c) of the Constitution of India. It further alleges violation of the principle of non-refoulement, that prohibits the deportation of refugees to a country where they face threat to their life. The application then points out that according to news reports, seven Rohingya men who are presently held in the Silchar Central Jail in Assam are being proposed to be deported. In this regard, it makes reference to a news article in a regional newspaper, Dainik Smayik Prasanga, which states that subsequent to negotiations with the Myanmar Government, the Indian Government will be sending back the men to Myanmar on October 4. As per the article, the seven men were caught by the police from Shilchori-Nagatila area in 2012 for illegal entry and were remanded to judicial custody. They have been held in detention in Silchar Central Jail after serving out their sentence. The application says that the information has been verified from credible sources, which claim that apparently without any official deportation order in the case, the men are going to be taken on October 3 by the Border Police officials to Moreh border crossing checkpoint of Manipur, to be handed over at the Tamu border checkpoint of Myanmar, where they will be handed over to the Myanmar government. The application then submits that according to documented evidence, the situation in Myanmar is extremely dangerous for the Rohingyas to return and they are likely to be subjected to torture and even be killed. In order to bolster its submission, it relies on a recent report of the UN Human Rights Council’s Independent International Fact-Finding Mission on Myanmar. The report definitively concludes that Myanmarese military, with certain civilian actors, has been responsible for committing international crimes of genocide and crimes against humanity. The application, therefore, demands an order restraining the Centre from taking any steps towards deportation of any Rohingya refugees lodged in jails or detention centres in Assam or any other parts of the country. It further seeks grant of refugee identification cards to all such detainees.